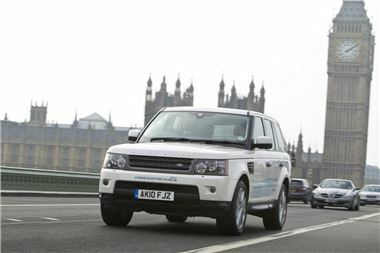 Land Rover has entered three Range Rover Range_e plug-in diesel hybrids in the RAC Future Car Challenge this year. The economical concept Range Rover Range_e was debuted at the Geneva Motor Show earlier in the year and is powered by a 245PS 3.0-litre TDV6 diesel engine linked to a 69kW electric motor. It can run for up to 20 miles on electricity alone, during which time it produces zero emissions. Overall emissions are 89g/km, so if it were on sale it would qualify for free VED and congestion charge exemption. The RAC Future Car Challenge runs from Brighton to London and showcases clean, efficient vehicles from a variety of major and minor manufacturers. Both future models and current models are represented. The 2011 Future Car Challenge is to take place on Saturday 5th November 2011, the day before the London to Brighton Veteran Car Run.